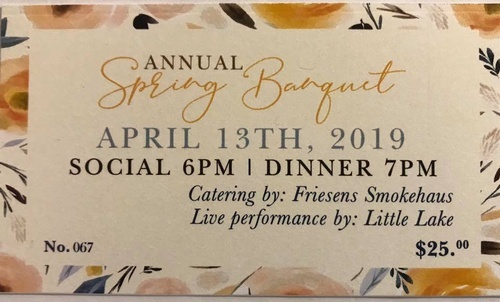 Campbellford and District Curling and Racquet Club present the Annual Spring Banquet. Tickets on sale now for $25. Catering by Friesen's Smokehaus and entertainment by Little Lake.